Leading Manufacturer of stainless steel flanges, mild steel flanges, weld neck flanges and carbon steel flanges from Coimbatore. 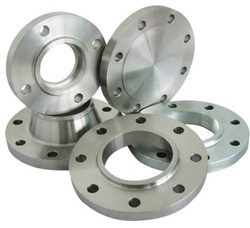 We are Manufacture Stainless Steel Flanges. In order to ensure quality, we follow international standards of quality and safety to manufacture these flanges. Use of qualitative material provides them spectacular durability and excellent strength. Our collection of flanges is resistant to corrosion and are available in different dimensions and configurations to suit the need of our esteemed clients. 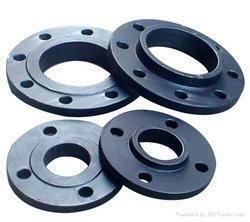 Mild steel flanges offered are high performance mild steel flanges. Offered in size options of 1/2" to 48"
Carbon steel flanges offered come in precision designed and constructed finish. Available in size options of 1/2" to 64"
Looking for Steel Flanges ?